JessFindsVintage is run out of my guest closet. 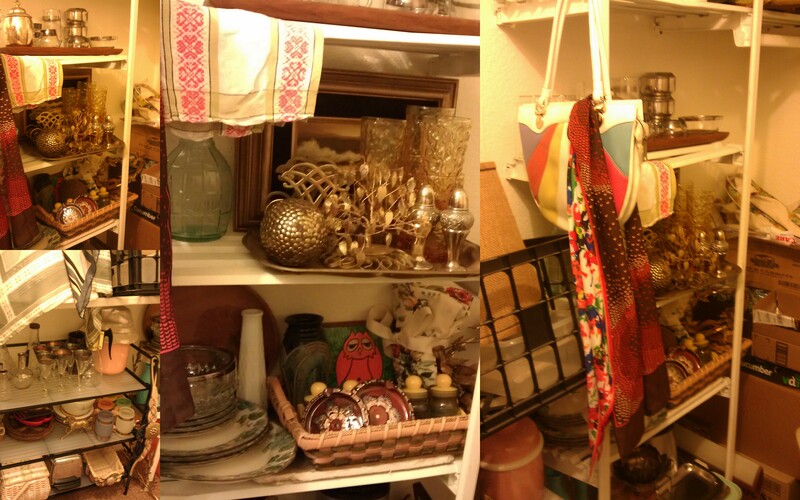 It started as a desire to decorate my new home is vintage home decor. As I began collecting I found out I had an eye for the unique vintage items. I also had a slight addiction to buying all those unique items. So I decided I would share the wealth. Here’s a look at my “store front” for the time being. Comments Off on JessFindsVintage Behind the Scenes!! 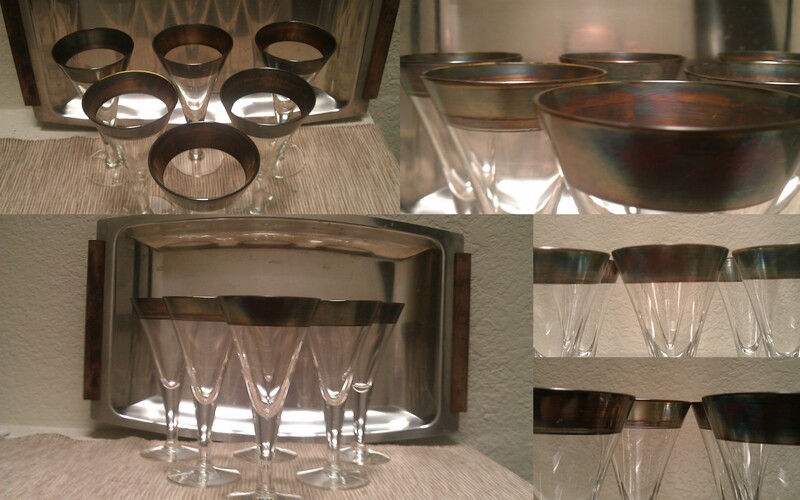 SIX Vintage Dorothy Thorpe Wine glasses in the Silver Band Allegro pattern. These glasses are straight out of Mad Men era and are perfect for the Mid Century Modern home decor lover. Serve wine in these glasses for your next retro cocktail party and impress. Very cool flared style. They have the classic Thorpe patina that most piece have. The bad is 1″ wide. Some have a little wear of the silver band. Nothing terrible, some shown in pics. no chips or cracks. Dimensions: 6″ tall, 3″ wide at he top.